Navigate to the main menu and click on Reports tab. 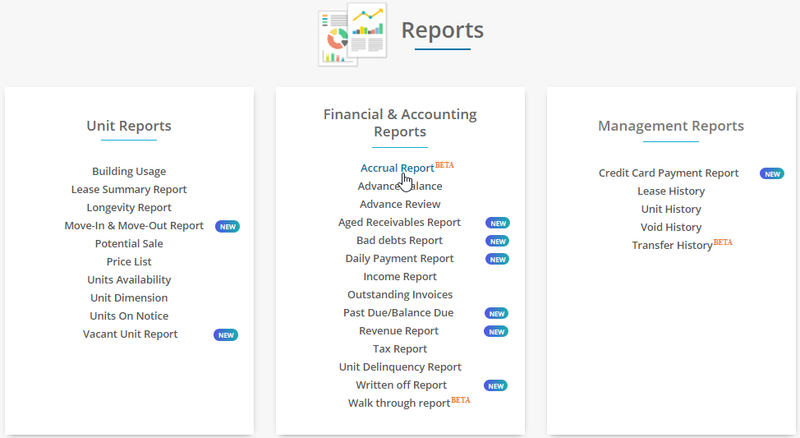 Under Financial and Accounting Reports section, you can find the Accrual Report. Click on the Accrual Report. Set the search criteria you wish to have and hit on Get Report button. Here, you will be able to view the tenant name, total invoice amount and discounts, late fee, and advance paid in particular to that invoice. You can also export the accrual report in an excel sheet by clicking on Export icon.